Tracking down extrasolar planets is already hard work, but at least astronomers have the stars they orbit to use as a reference point. 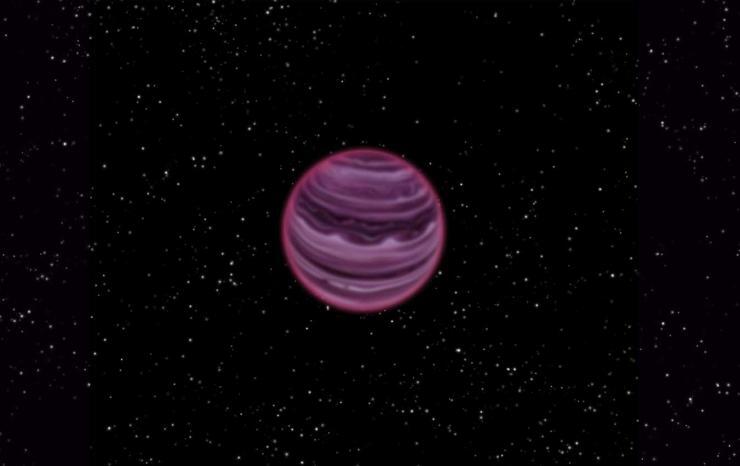 Now imagine finding a single planet in the night sky without having any reference point of where to aim a telescope. Seems impossible right, but that's what has just happened at the Pan-STARRS telescope in Hawaii. The University of Hawaii has announced that Dr. Michael Liu and a group of young astronomers from the Institute for Astronomy at the University of Hawaii at Manoa have found the first extrasolar planet which does not have a star to rotate around. The new planet dubbed PSO J318:5-22 freely floats through space without any fixed point to cling to, making its discovery extremely lucky at best. "We have never before seen an object free-floating in space that looks like this," claimed Dr. Liu. "It has all the characteristics of young planets found around other stars, but it is drifting out there all alone. I had often wondered if such solitary objects exist, and now we know they do." PSO J318:5-22 is only 80 light-years away from Earth. It weighs in at six times the mass of Jupiter and is still a young planet by comparison, only forming 12 million years ago. Liu's team found the planet when searching four low heat brown dwarf stars in the Capricornus constellation. Without the distracting light from a nearby star getting in the way, scientists believe they can use this planet to study the early cycles of a gas giant planet and unravel even more mysteries of our own neighboring planets.